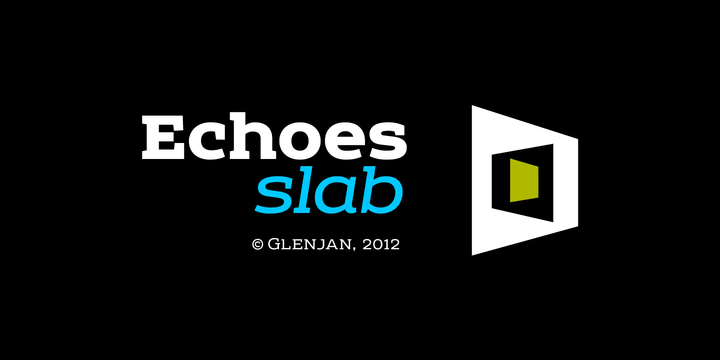 Echoes Slab is a geometric serif slab typeface created by Elena Kowalski and published by Glen Jan in 2012 and inspired by “Echoes”, a renown Pink Floyd album. Find Echoes in your mind! A font description published on Wednesday, October 31st, 2012 in Elena Kowalski, Fonts, Glen Jan by Alexandra that has 4,228 views.